NEW YORK—Reflecting on his past indiscretions in light of the #MeToo movement, former President Bill Clinton admitted Monday that knowing what he knows now, he would have still preyed on women. 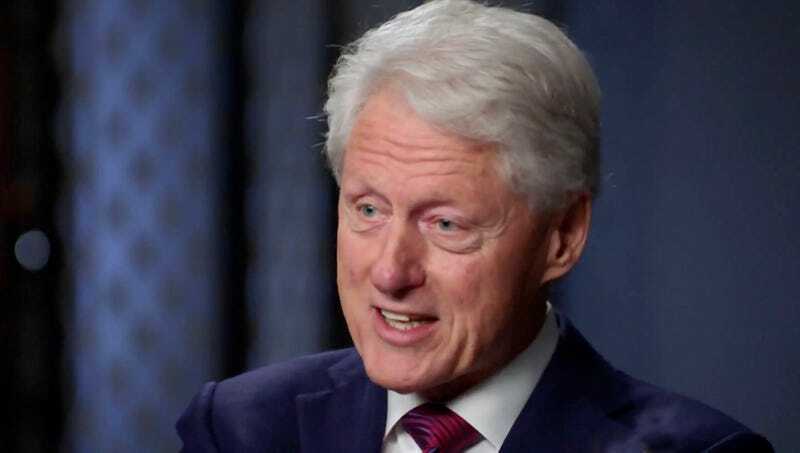 “Man, if I had to do it all over again, I’d probably just do the same horrible stuff to all those girls,” said Clinton, adding that deep down, he felt that taking advantage of a 22-year-old intern just seemed like something he would do again if given the chance. “I did the right thing by acting true to my heart, and that’s God’s honest truth. So, no, I don’t regret making so many unwanted romantic advances. In fact, I cherish each and every one of them. What can I say? I truly adore the chase. Bird’s got to fly. Horse’s got to run. Slick Willy’s got to prowl.” At press time, Clinton expressed regret that he never had a son with whom to share his vast expertise on how to successfully dehumanize a woman.